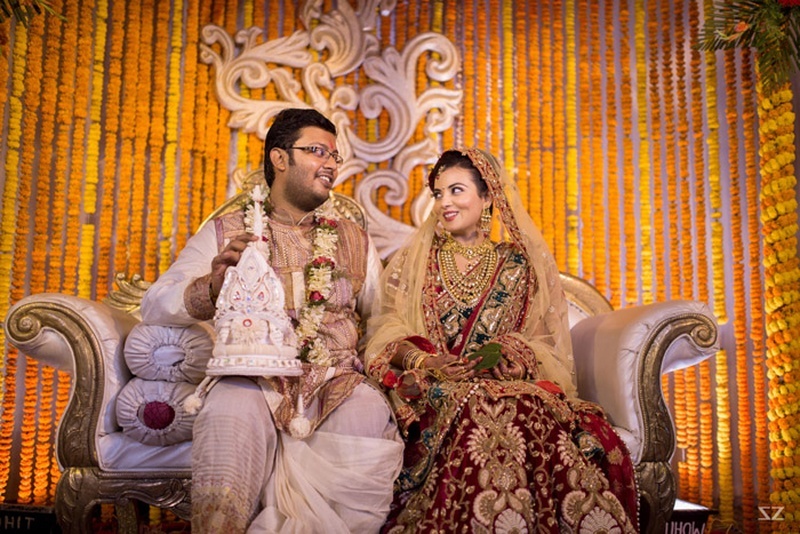 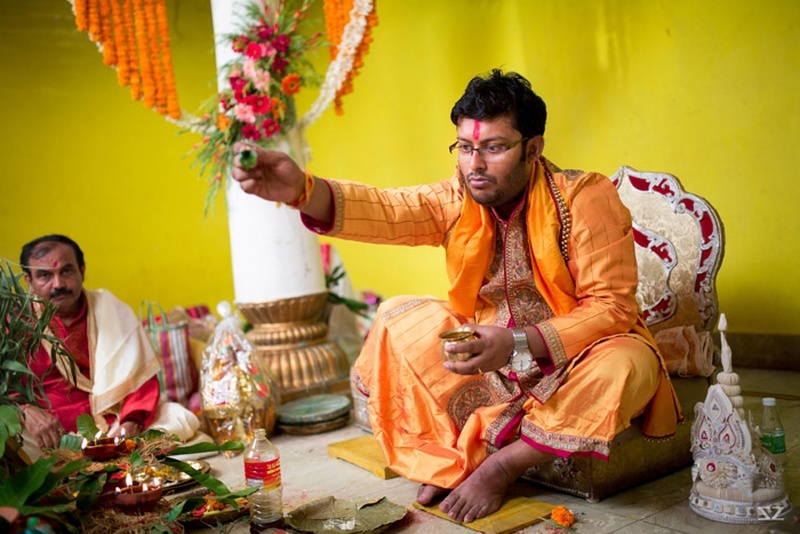 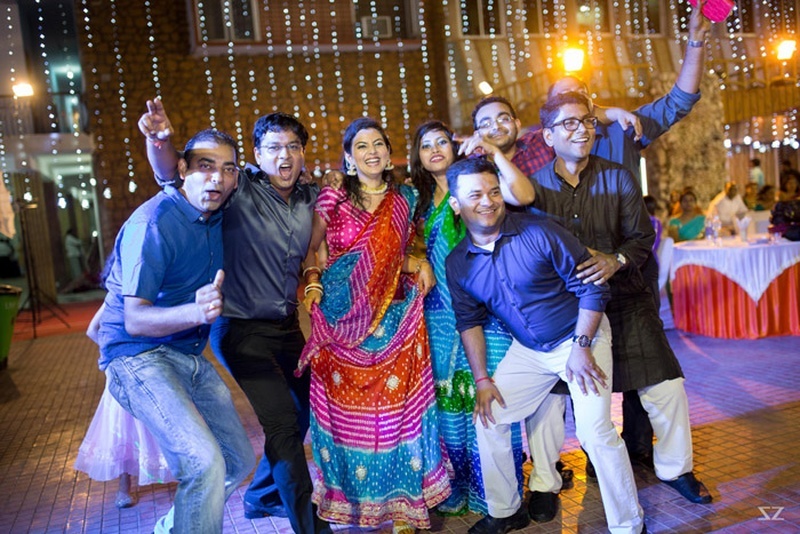 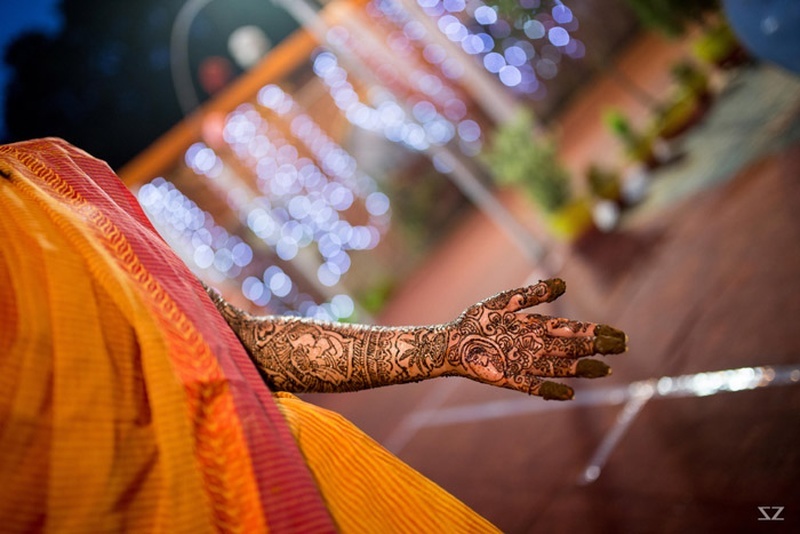 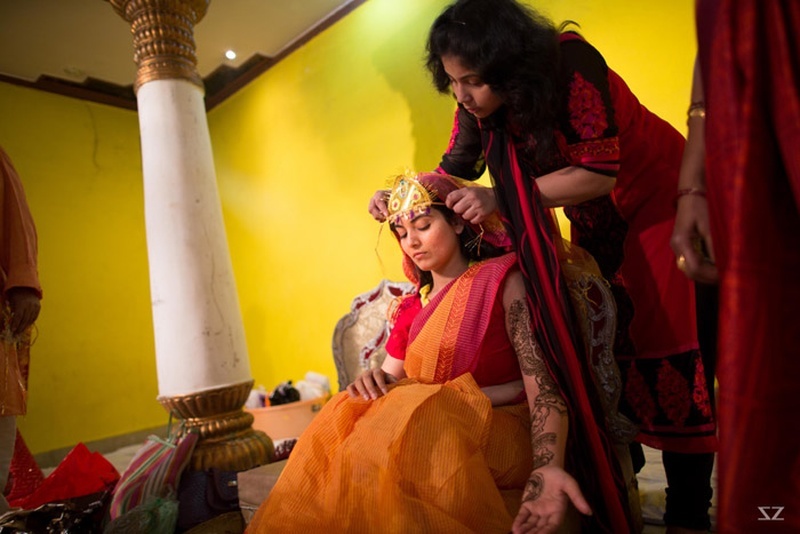 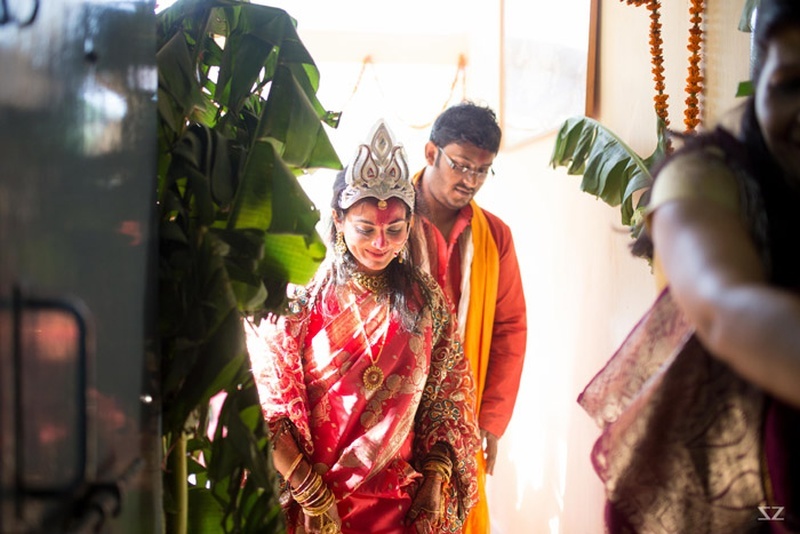 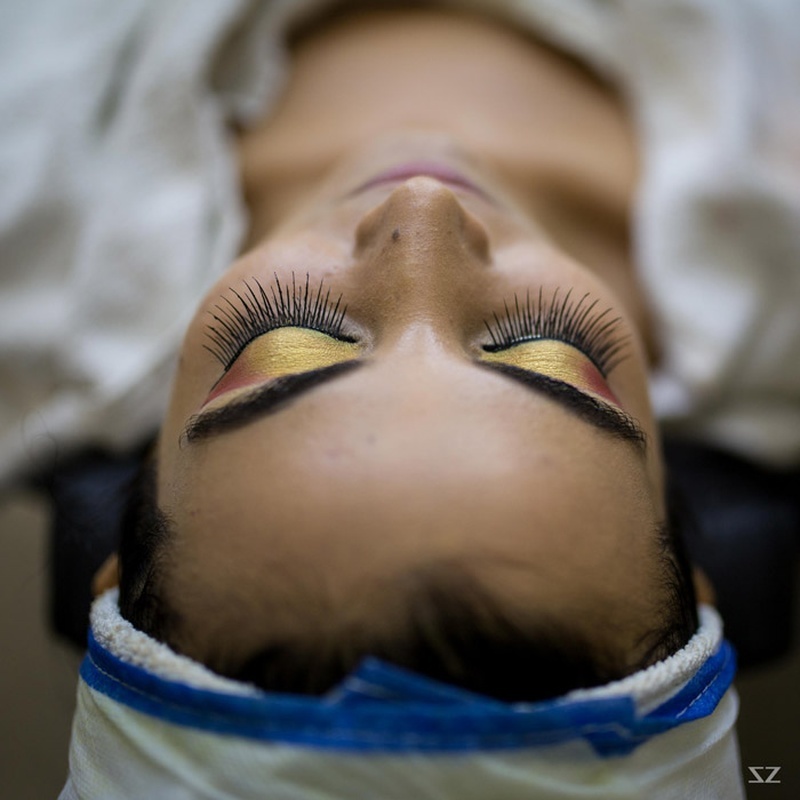 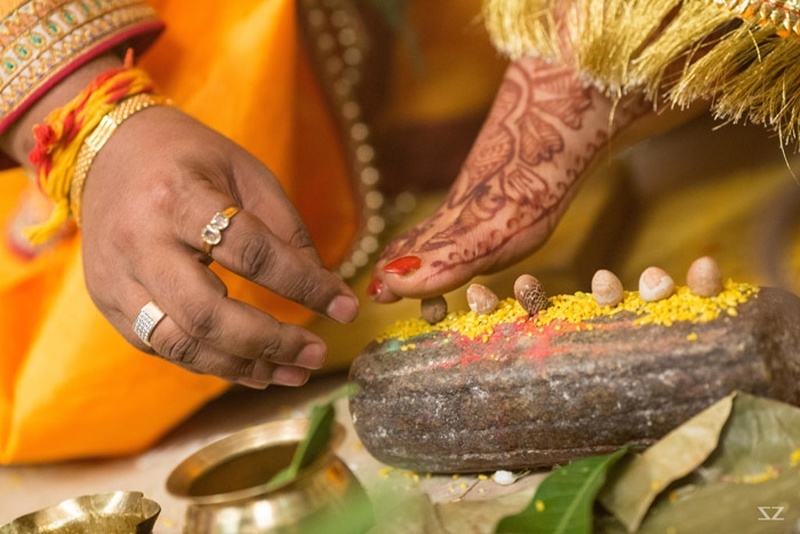 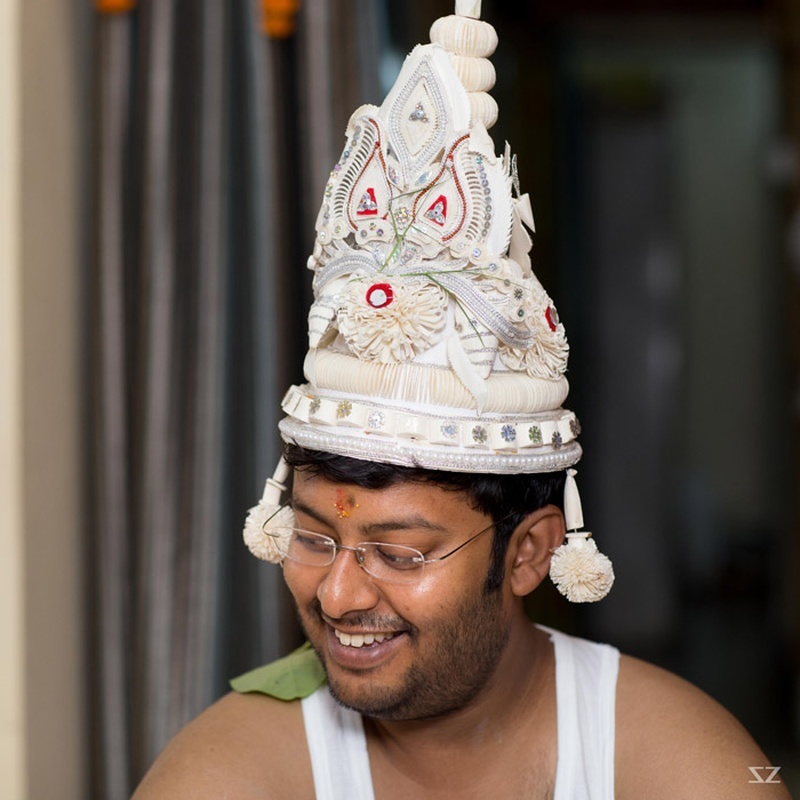 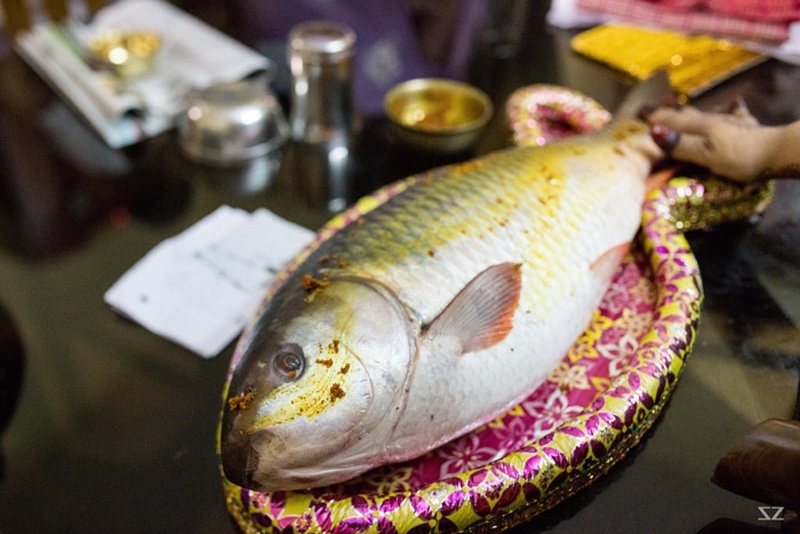 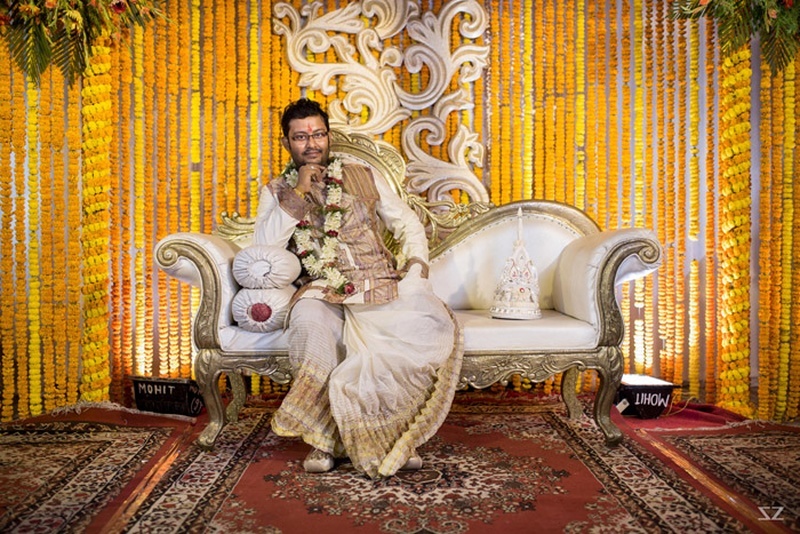 A Bengali wedding celebration captured excellently by the talented team at Saulat Zuberi Photography! 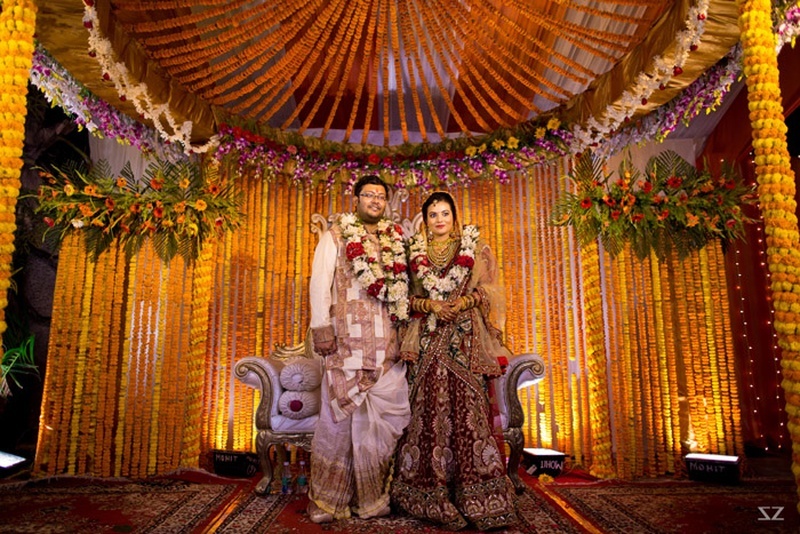 It subtly reminded us that you don’t need fancy drapes or exquisite lighting to make your wedding a memorable affair. 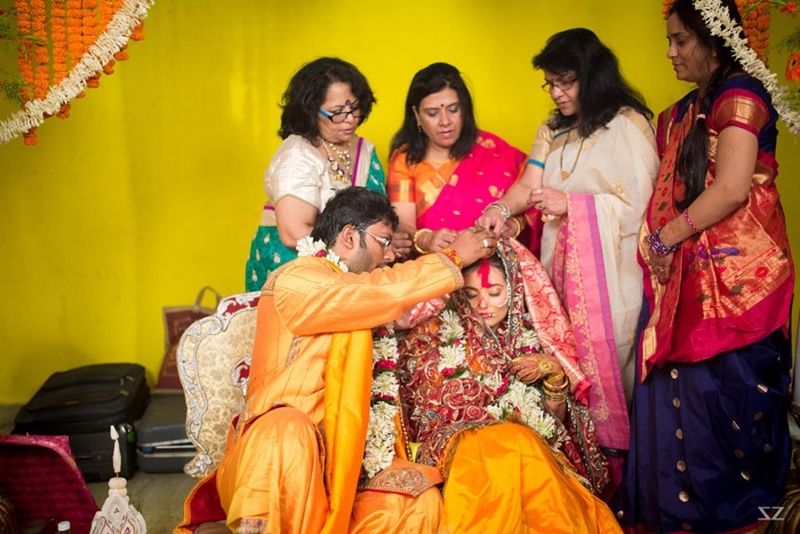 All it takes is a loving family and tons of marigold flowers, really. 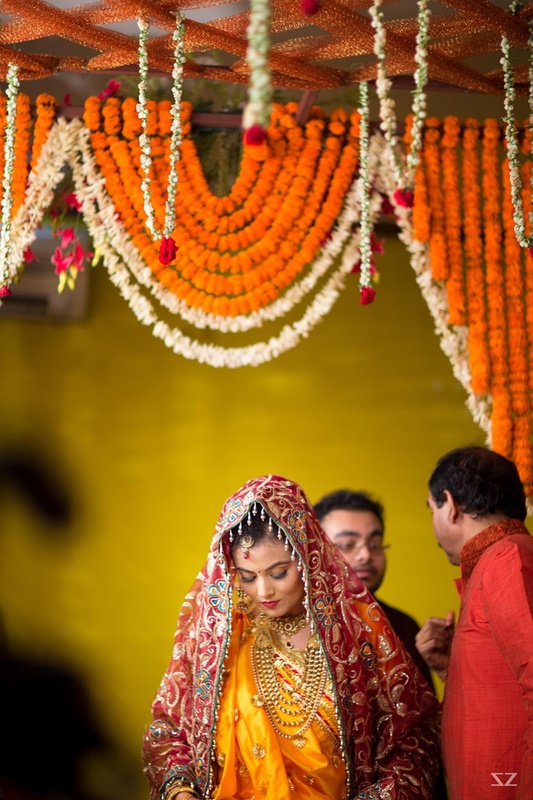 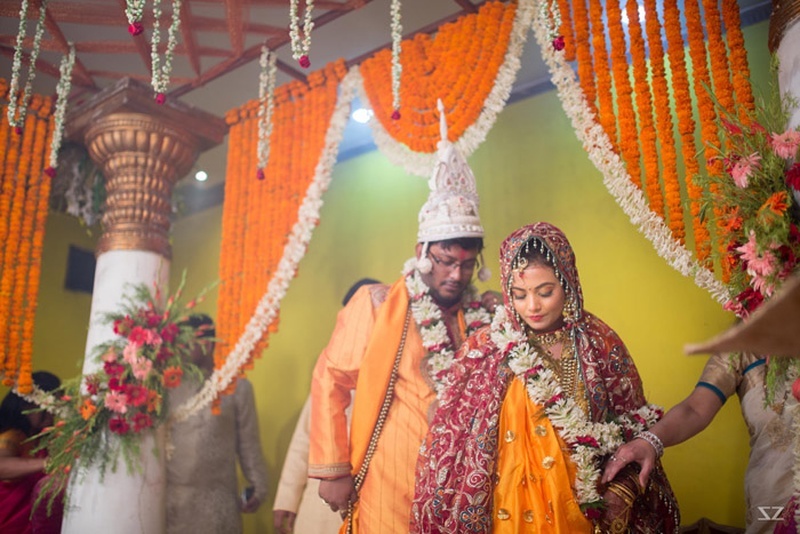 Their wedding mandap as well as their reception stage was decorated exclusively with yellow and orange marigold, strung beautifully from the ceiling, right down to the floor – a perfect replacement for drapes, we think! 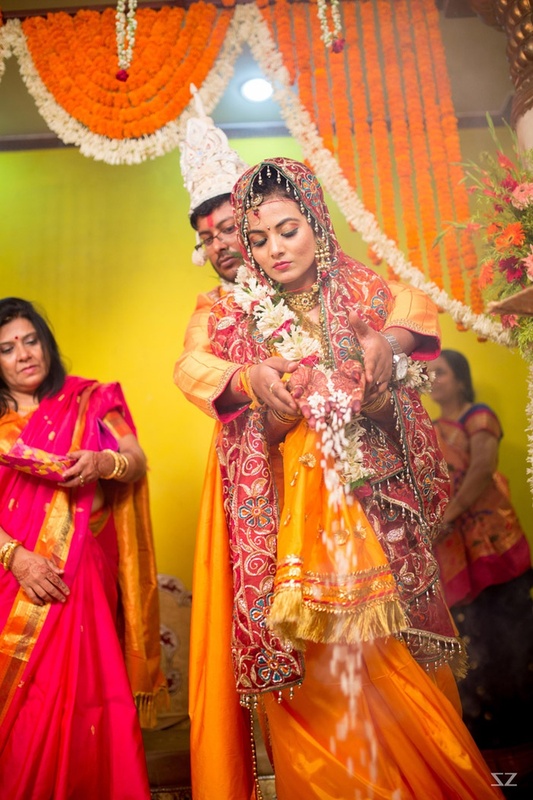 Jaya and Arka donned matching wedding attires in hues of amber yellow with ethnic Sholawood Topors and bright smiling faces which kept everyone’s eyes glued right on to them. 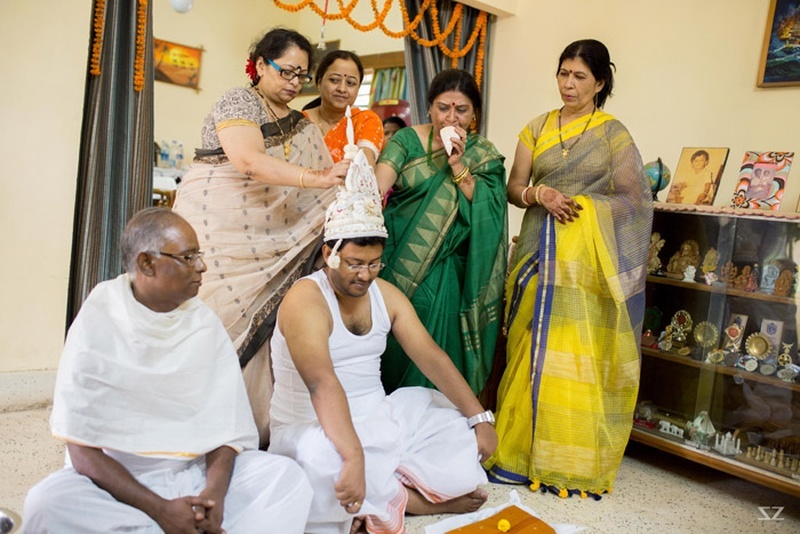 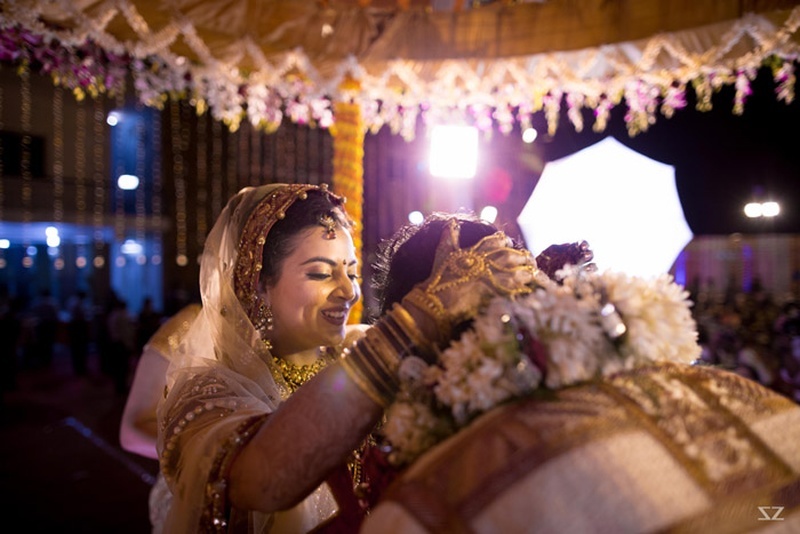 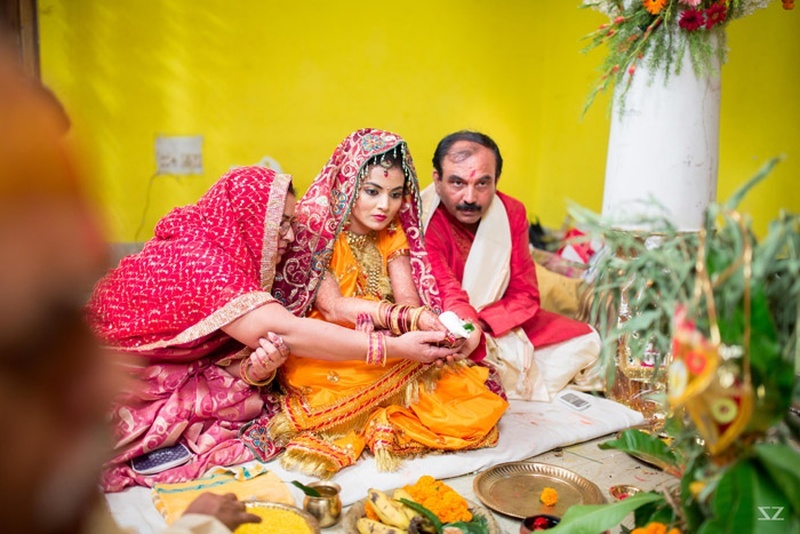 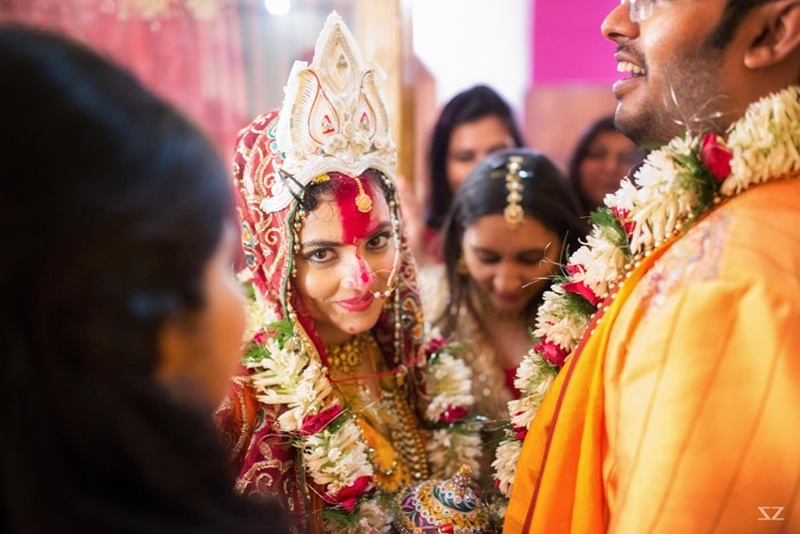 Their wedding was one with endless celebration and dancing as well as traditional rituals – all blended into one perfectly. 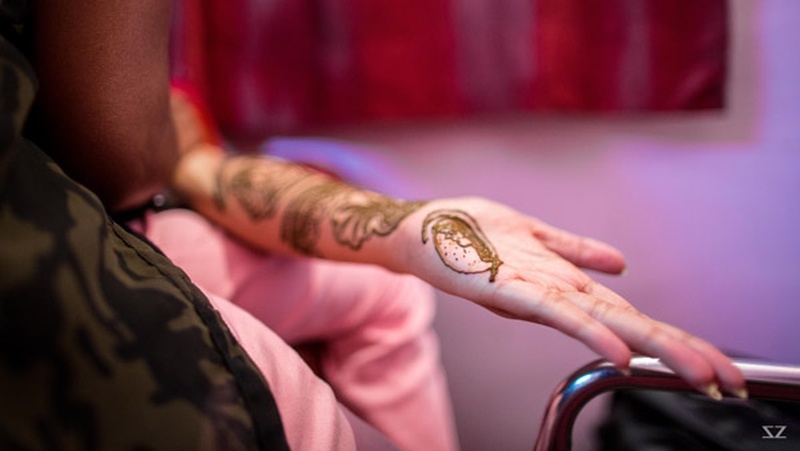 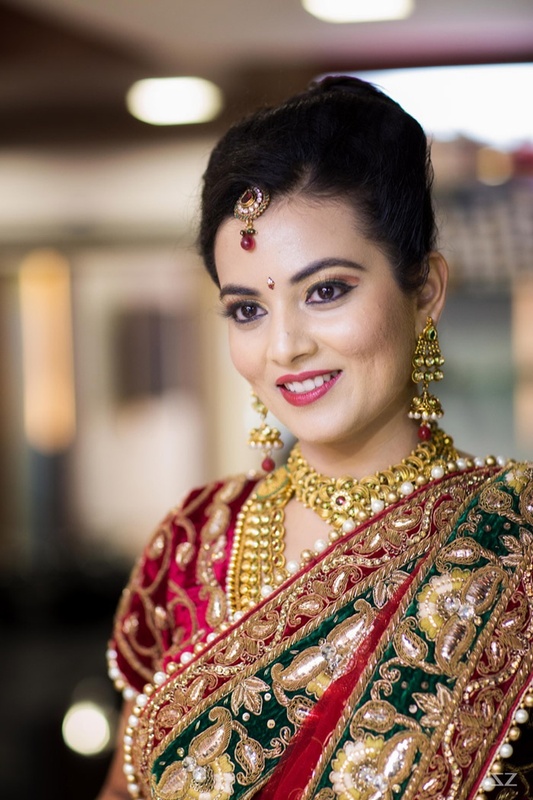 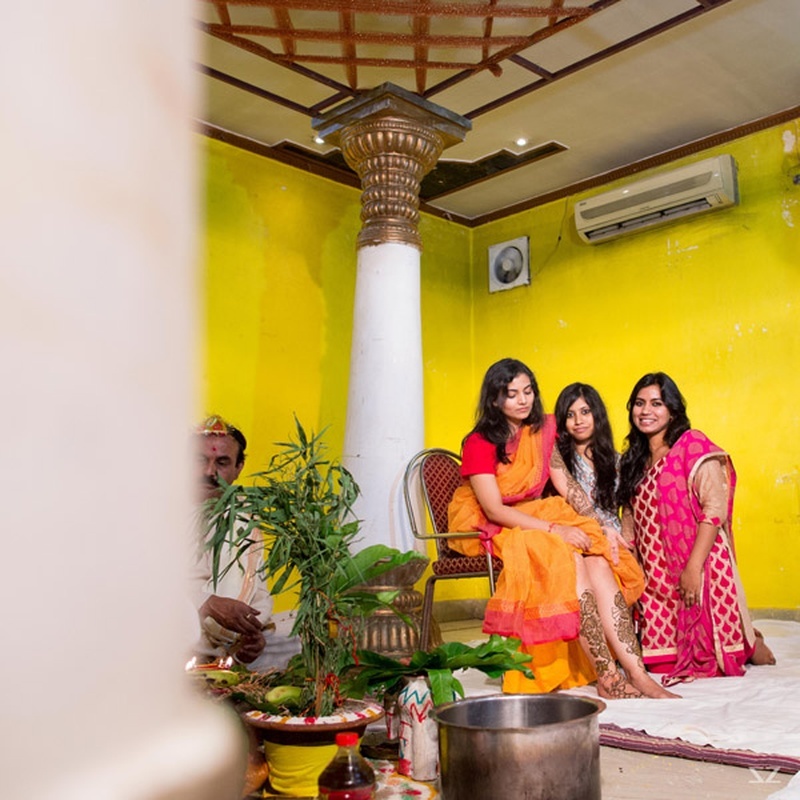 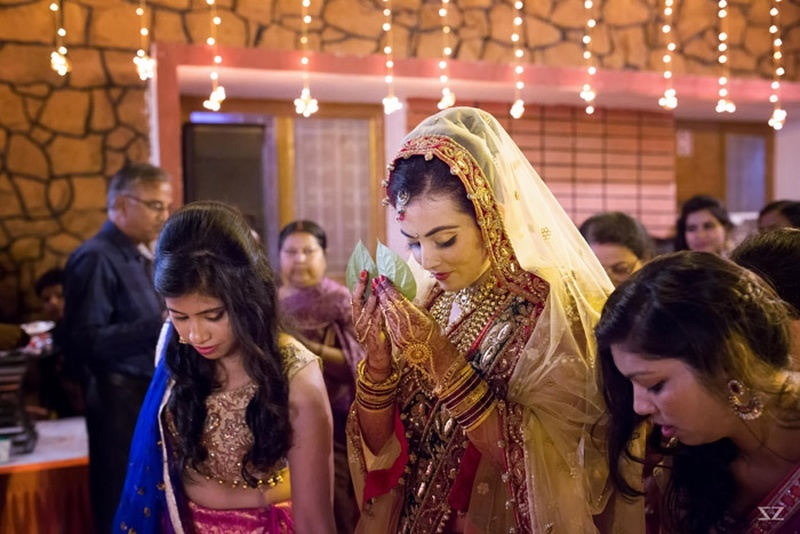 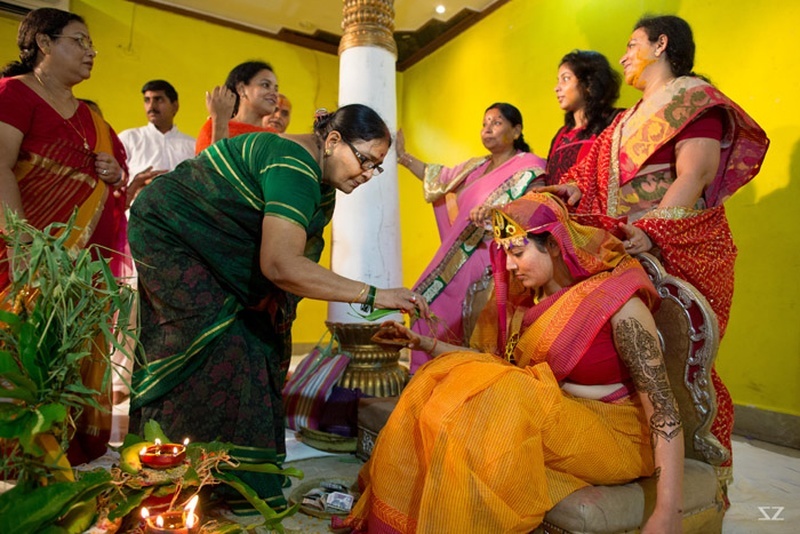 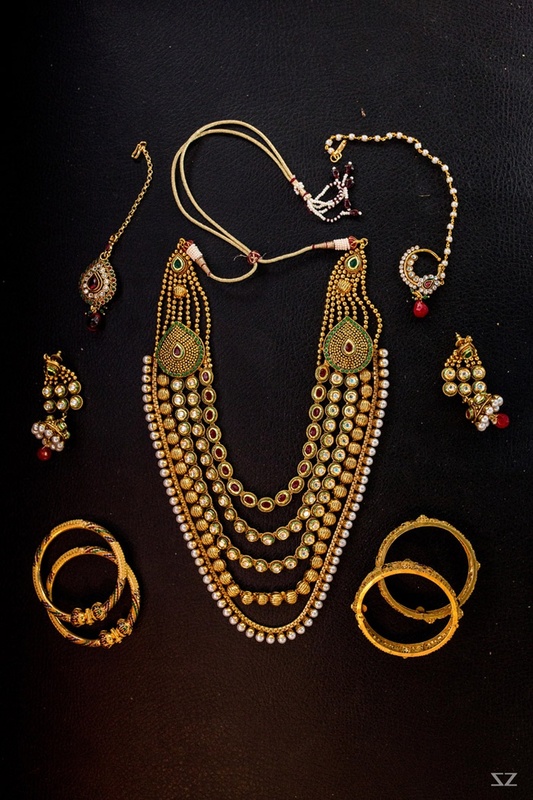 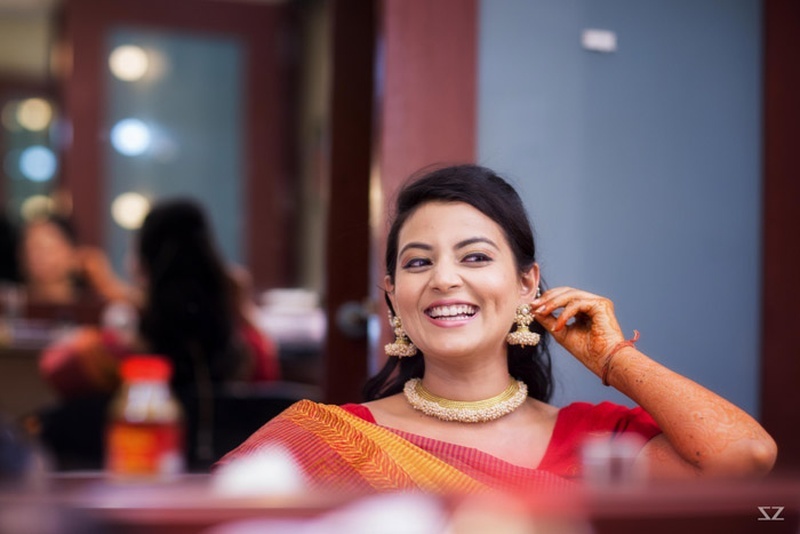 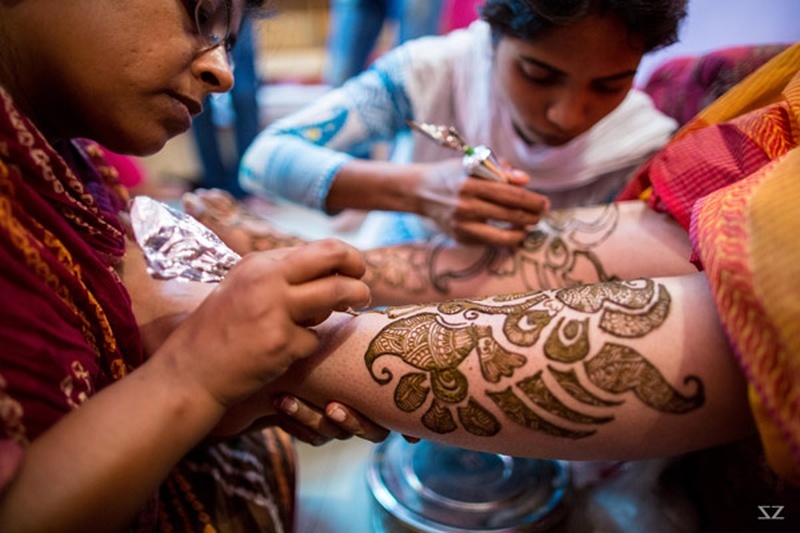 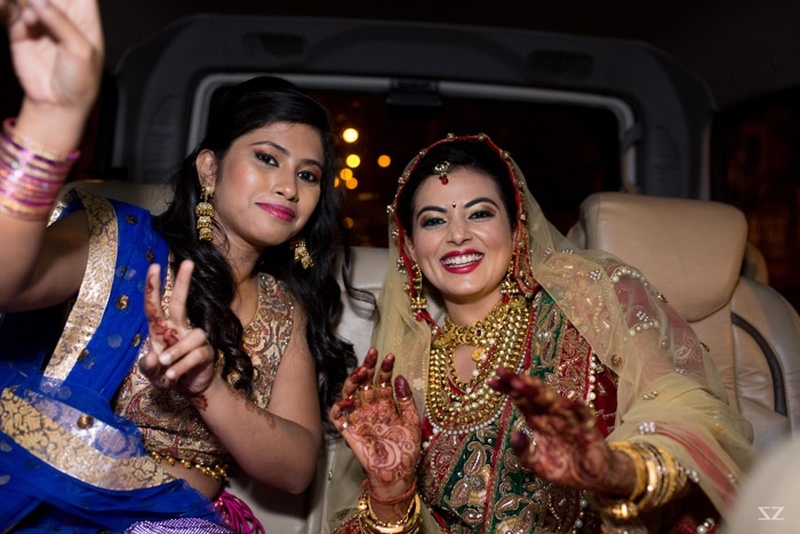 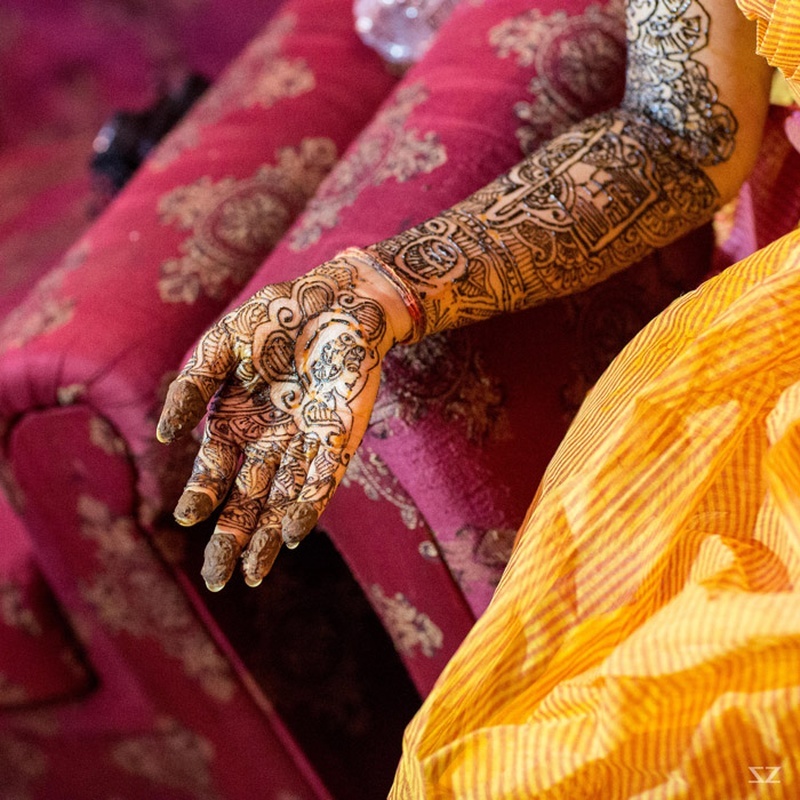 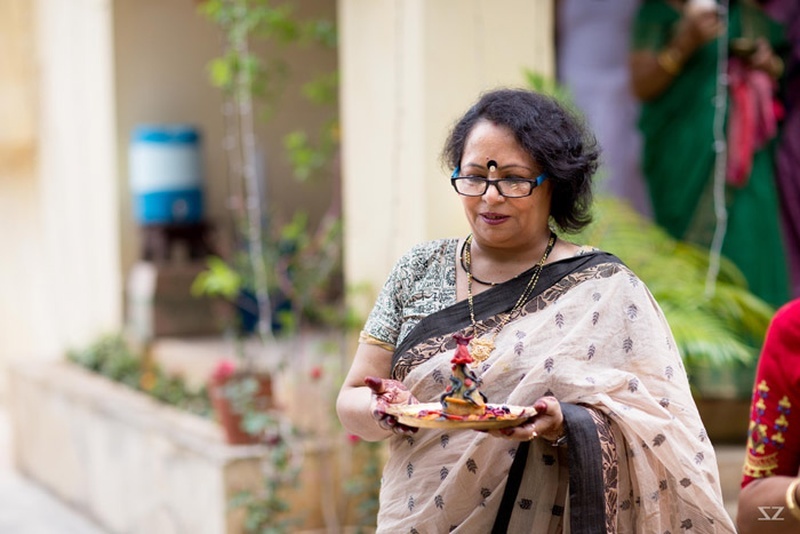 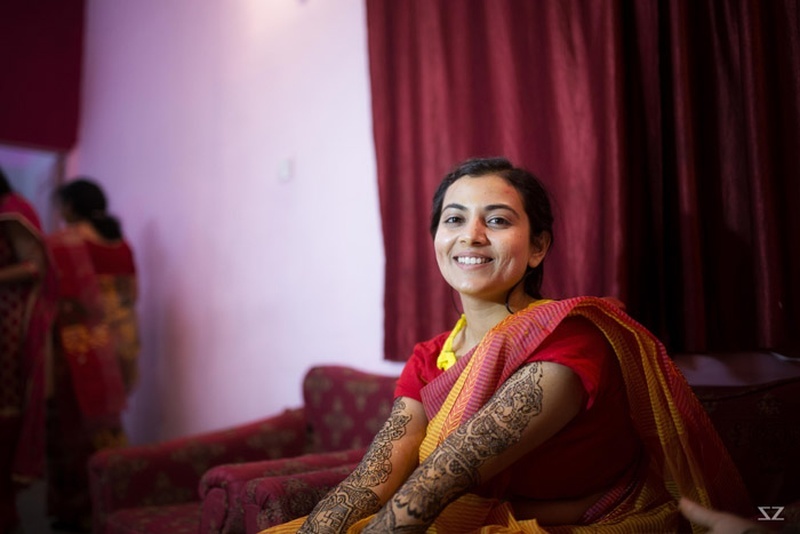 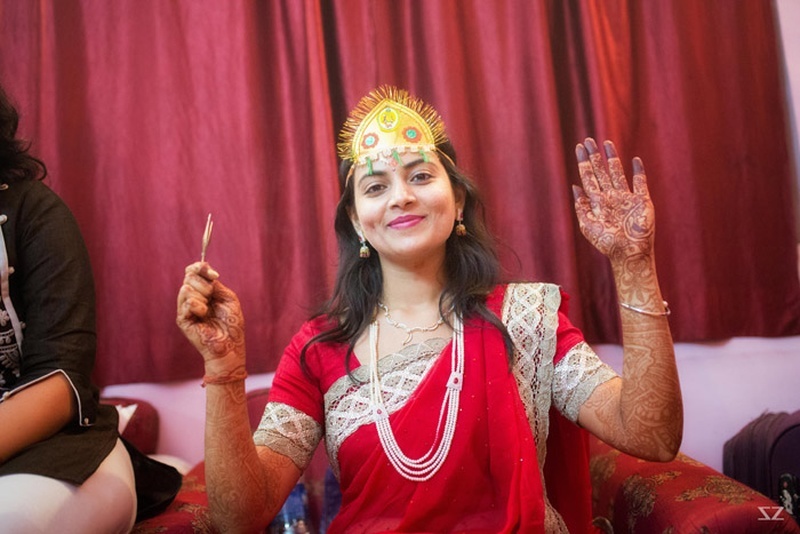 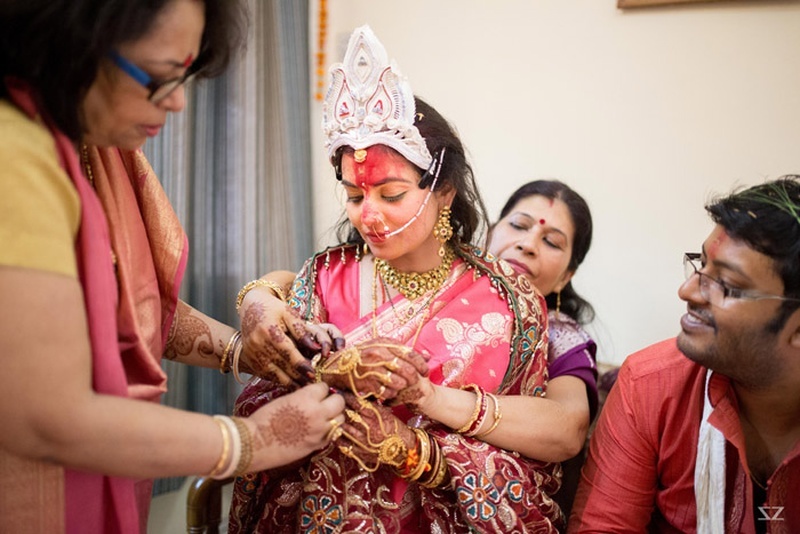 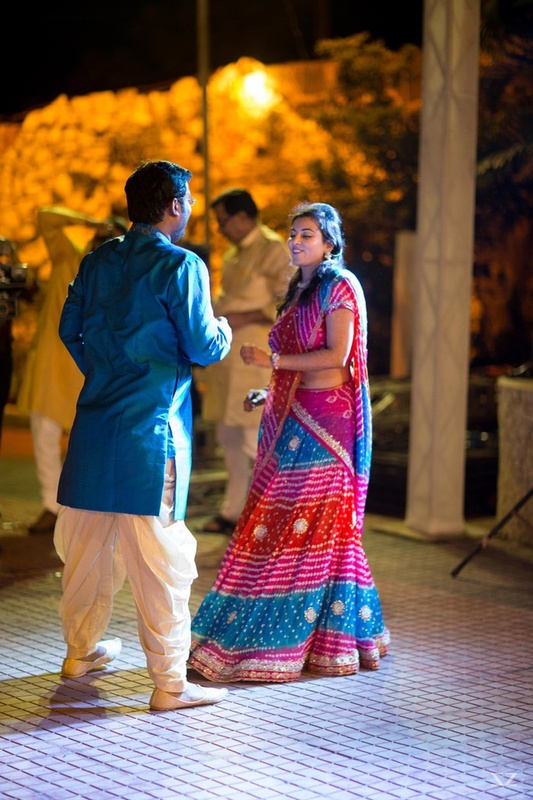 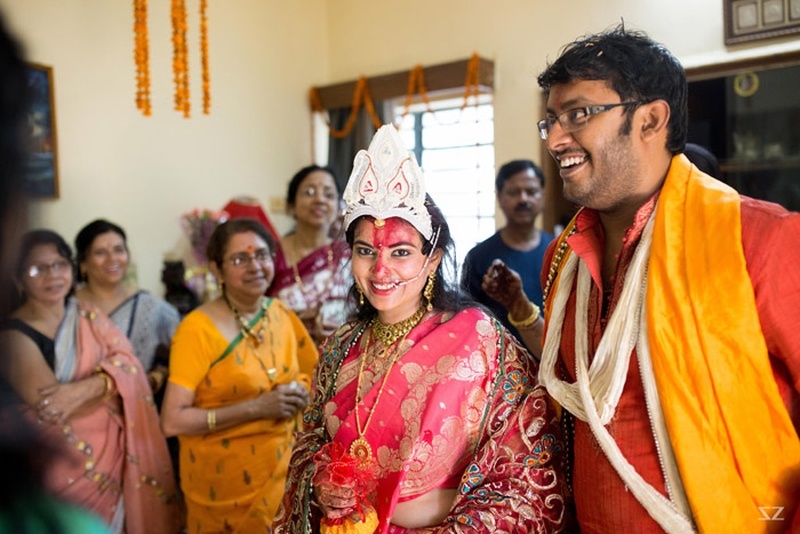 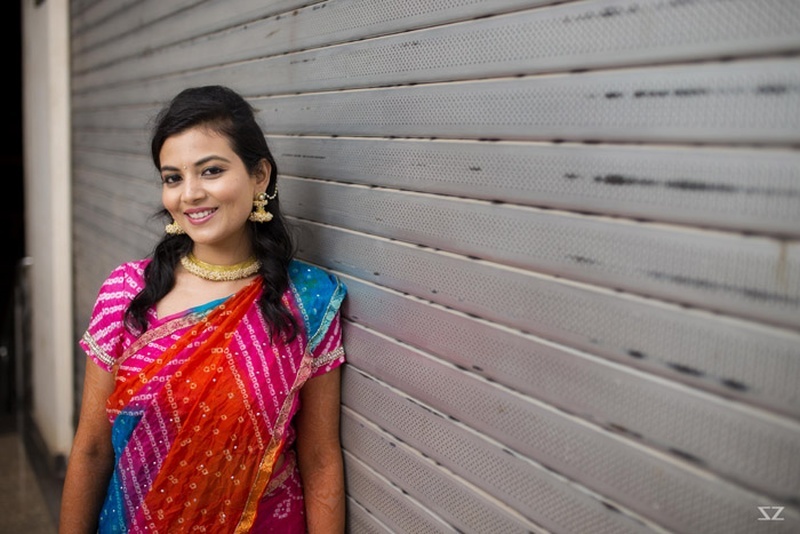 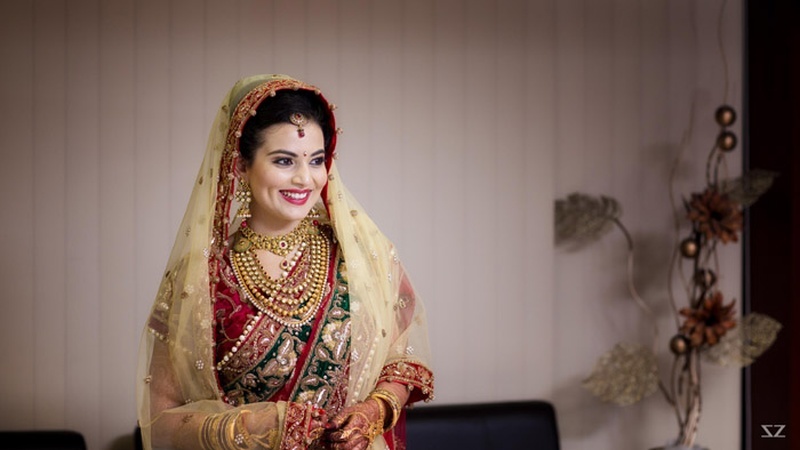 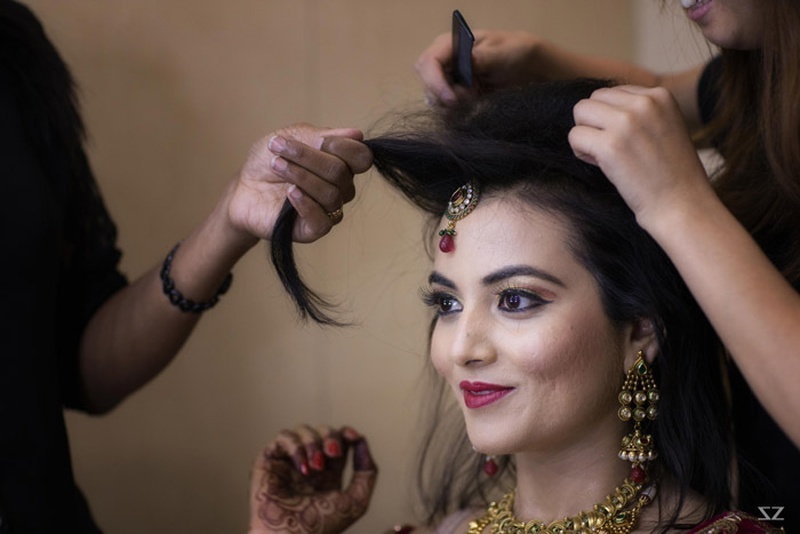 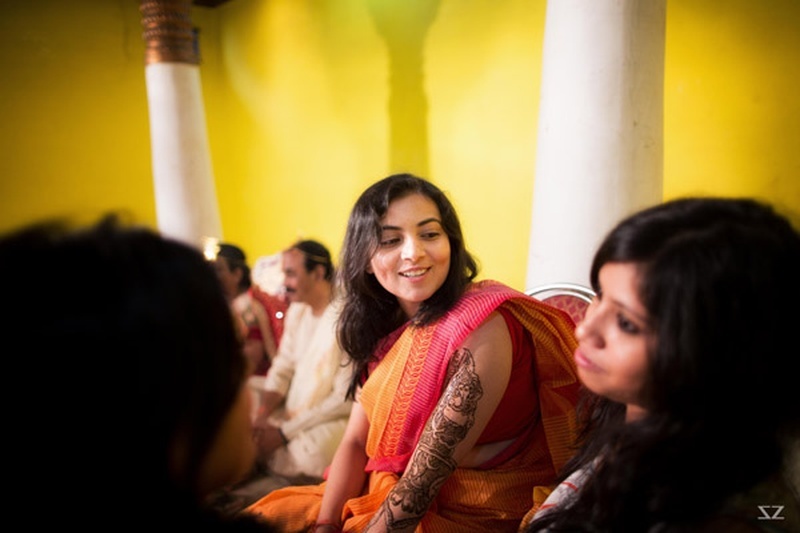 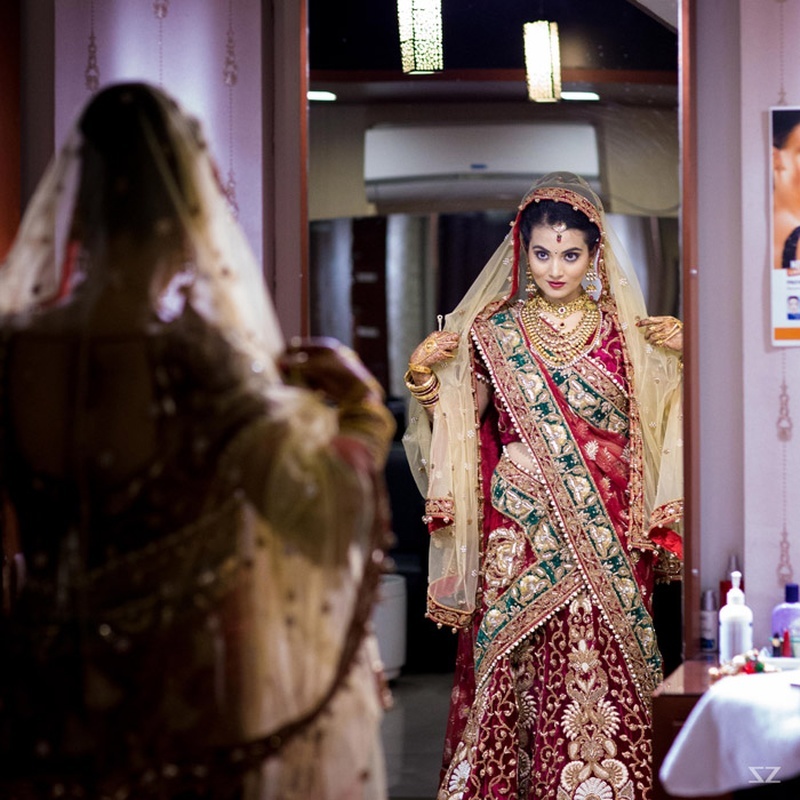 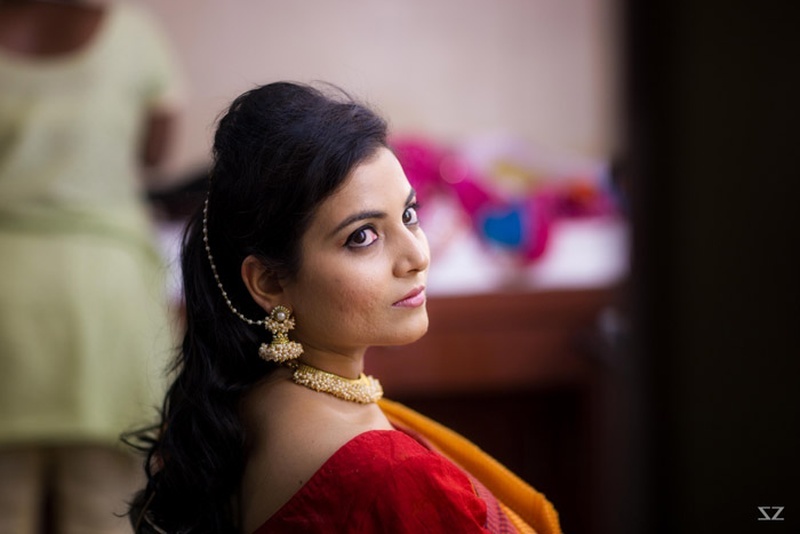 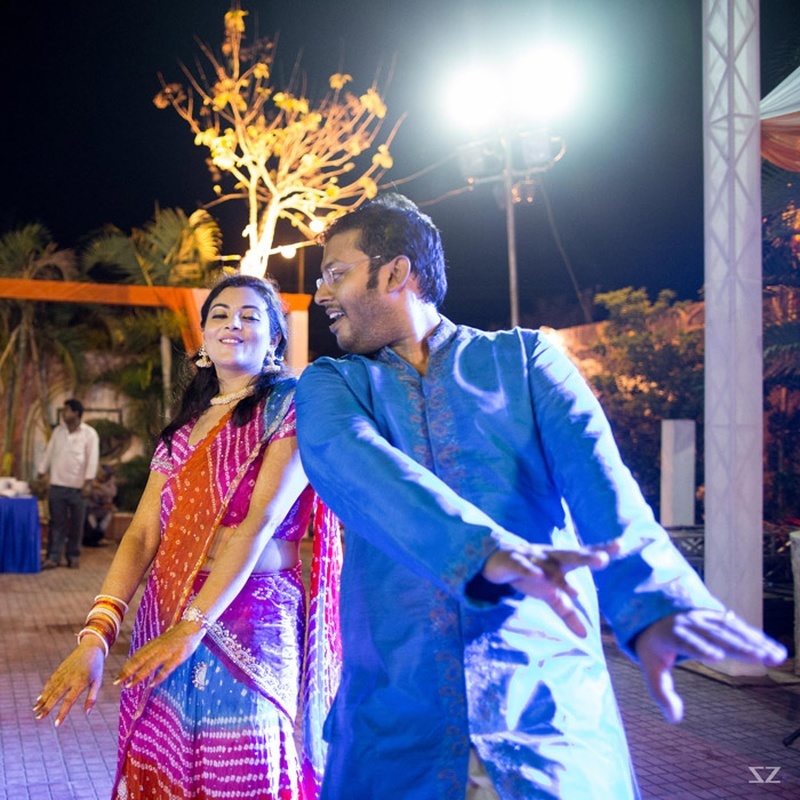 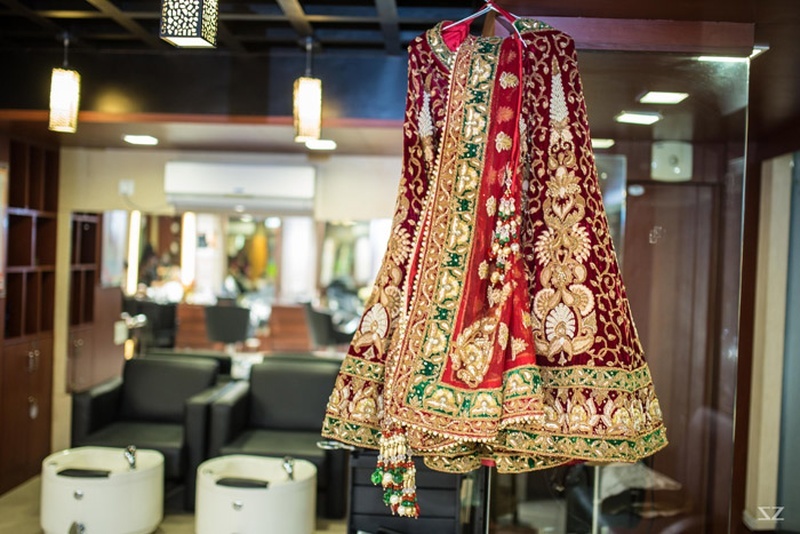 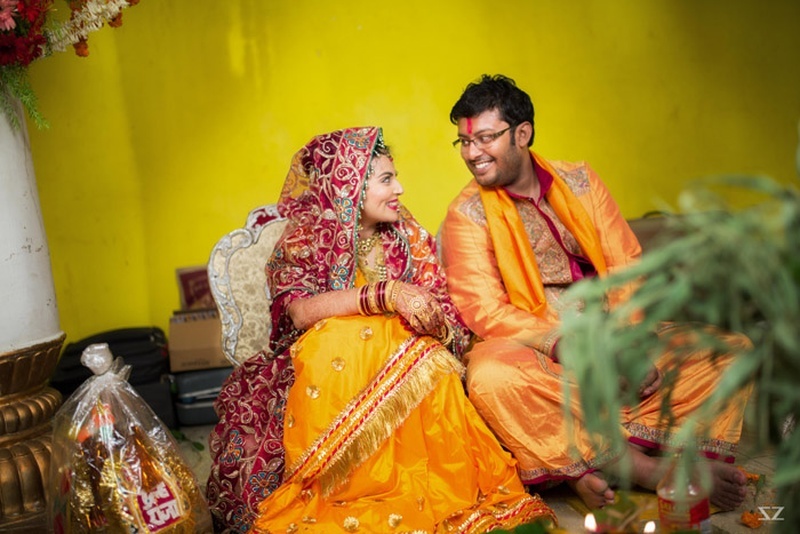 Whether it was her pink and blue bandhini saree at the sangeet or heavily embroidered red and green wedding lehenga, both the outfits and ceremonies exuded style without leaving behind the ethnicity factor.